©Sharksmith: First Bradford Wright Eclipse Urban bodied Volvo B7RLE 69246 pictured in Shipley Market Square. 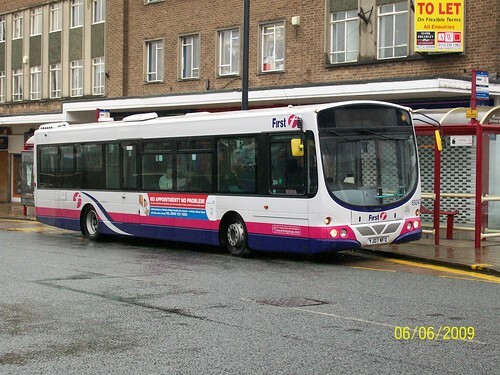 ©Sharksmith: On a wet day in Shipley, First Bradford 69247 operates a 677 service to West Bowling via Bradford. 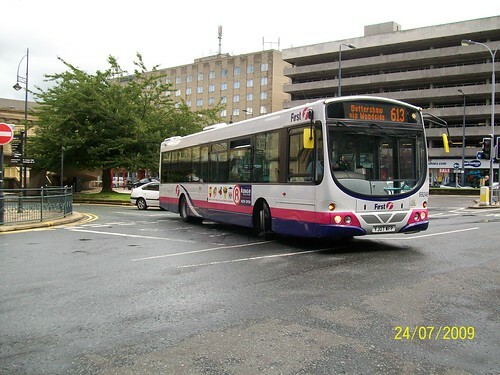 ©Sharksmith: First Bradford 69248 leaves Norfolk Gardens, Bradford for it's city centre pause on Channing Way. 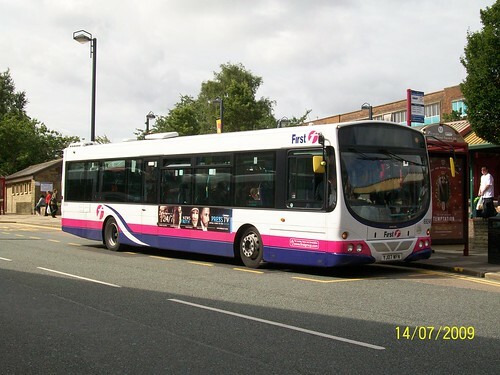 This is a Volvo B7RLE with Wright Eclipse Urban bodywork operating route 613 to Buttershaw. B7RLEs are being released by various operating companies including West Yorkshire, Manchester, Bristol and Glasgow to form the allocation at D&C for Ugobus phase 3 in October. Leon Daniels (Customer Service and Communications Director for First UK Bus) also now has his own Blog which can be found here. Clearly an enthusiast here! On one hand, I'm pleased FDC is bringing (quite) new buses to Plymouth. On the other hand, these are the buses that are going to be used to give Citybus the squeeze.. I understand the remaining three buses of this batch 69251 to 69253 (YJ07WFT to YK07WFV) are also on their way to you shortly.